Kilchberg, 30 January 2018 – Lindt & Sprüngli Schweiz AG makes significant investments in its production facility in Olten and thus strengthens Switzerland as a business location for the long term. 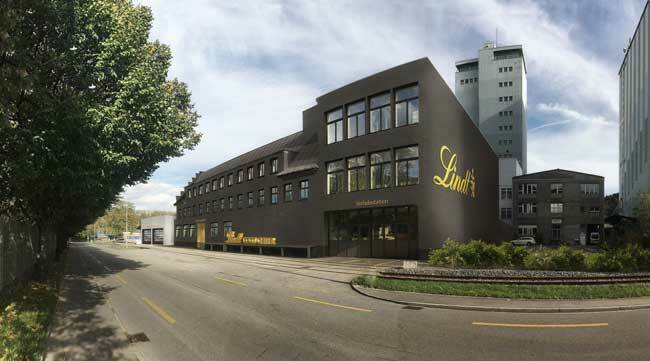 In 2018, more than CHF 30 million are allocated for the expansion of and capacity increases in the so called Lindt Cocoa Center. The plant in Olten is responsible for producing cocoa mass for the European Lindt plants within the global production network. As a Swiss company with a tradition of almost 175 years, Lindt & Sprüngli is continuously strengthening Switzerland as a business location and invests in the expansion of its facilities every year. In 2018, it will focus on the extension of the Group’s largest cocoa mass plant. More than CHF 30 million will be provided for the expansion and modernisation of the international Lindt competence center for cocoa mass in Olten throughout the current year. Lindt & Sprüngli is one of the few companies, which controls every step of its chocolate production – from the selection of the cocoa beans right through to the finished product – in other words, “from bean to bar”. The production site in Olten is the largest plant in the entire production network for this first processing step, the refining of cocoa beans to cocoa mass. Thus, the expansion of the Lindt Cocoa Center represents a key project for Switzerland and safeguards the supply of cocoa mass for the production sites in Europe for the long term. The beans, mainly sourced from West Africa and Latin American origins for fine flavour cocoa varieties are first shipped to the Netherlands and transported to Olten via rail. The ideal connection to railway infrastructure was therefore decisive for choosing Olten as a location close to the headquarters in Kilchberg. Today, cocoa beans are delivered environmentally friendly by more than 400 train wagons and stored in the plant’s characteristic silos for further processing. The cocoa mass is then delivered to the production companies in Switzerland, Germany, Italy and France. In all factories, local processing and refinement of the chocolate must meet rigorous Swiss standards. The newly increased capacities in Olten will support future growth of the entire Lindt & Sprüngli Group by spring 2019. Image text “Lindt&Sprüngli_Illustration Production Site Olten.jpg”: Lindt & Sprüngli invests CHF 30 million in the expansion of its production facility in Olten and strengthens Switzerland as a business location for the long term. As global leader in the premium chocolate sector, Lindt & Sprüngli looks back on a long standing tradition of almost 175 years which takes its origins in Zurich, Switzerland. Today, quality chocolate products by Lindt & Sprüngli are made at 12 own production sites in Europe and the USA. They are distributed by 25 subsidiary companies and branch offices, in more than 415 own stores, and also via a comprehensive network of more than 100 independent distributors around the globe. With over 14,000 employees, the Lindt & Sprüngli Group reported sales worth CHF 4.1 billion in 2017.